NEW YORK – Dominic Breazeale couldn’t believe what he had heard. When Showtime’s Jimmy Lennon Jr. announced the judges’ scores the night of December 1, a disgusted Breazeale walked out of Staples Center dismayed. He still wanted to fight Deontay Wilder to settle their personal score, but the huge heavyweight contender couldn’t believe Wilder had retained his title. Breazeale believes Fury did more than enough to take Wilder’s WBC title from him. While Wilder deserves credit for flooring Fury in the ninth and 12th rounds, Breazeale can’t fathom how their 12-round title fight resulted in a draw. California’s Alejandro Rochin scored seven of 12 rounds for Wilder (115-111). Canada’s Robert Tapper scored eight of 12 rounds for Fury (114-112). England’s Phil Edwards credited Fury for winning seven rounds, too, but their fight resulted in a draw because the two knockdowns left it even on Edwards’ card (113-113). 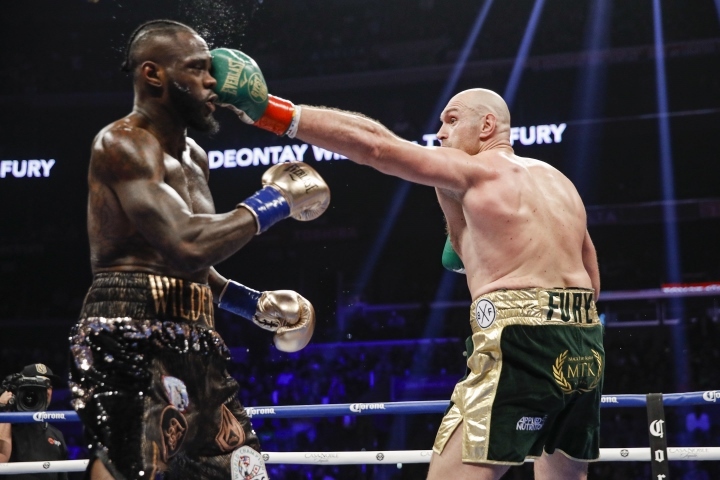 England’s Fury (27-0-1, 19 KOs) and Alabama’s Wilder (40-0-1, 39 KOs) were supposed to participate in an immediate rematch May 18 at Barclays Center in Brooklyn. Fury ultimately decided to sign a co-promotional agreement with Bob Arum’s Top Rank Inc. He is expected to make his Top Rank debut on ESPN+ early in June against an undetermined opponent. Fury’s choice enabled Breazeale (20-1, 18 KOs), the mandatory challenger for Wilder’s title, to move into his spot for May 18. The Wilder-Breazeale bout, which will be broadcast by Showtime, officially was announced Tuesday during a press conference at Barclays Center. When asked after that press conference whether Wilder lost to Fury, Breazeale told BoxingScene.com, “Oh, guaranteed. Guaranteed. I couldn’t even stick around after that fight. When they called it a draw, everyone wanted to stick around and do interviews. I was so disgusted I had to leave. There’s no way in hell. [QUOTE=scarybodyshot;19604906]Ermmm not quite, he also plodded around the ring with his hands down and eyebrow raised believing that the stupid look on his face was scoring points. [/QUOTE] Bahahaha. You aren't wrong! Hardly a ''clinic'' when the other guy has a higher punch landed %. Definitely not a clinic when you have to pick yourself off the canvas more than once. Just got tickets for Wilder/Breazeale. Hope it's a decent undercard. Barclay's is great for boxing. If you haven't been there definitely check it out!